Yukon stores can charge a voluntary fee of 5 cents per bag, but Zero Waste Yukon says that's not enough. A group pushing for a user fee for single-use plastic bags in Yukon presented its petition to the Legislature today. Zero Waste Yukon says it's collected 1,689 signatures. The petition comes in the midst of a public consultation the government is holding. 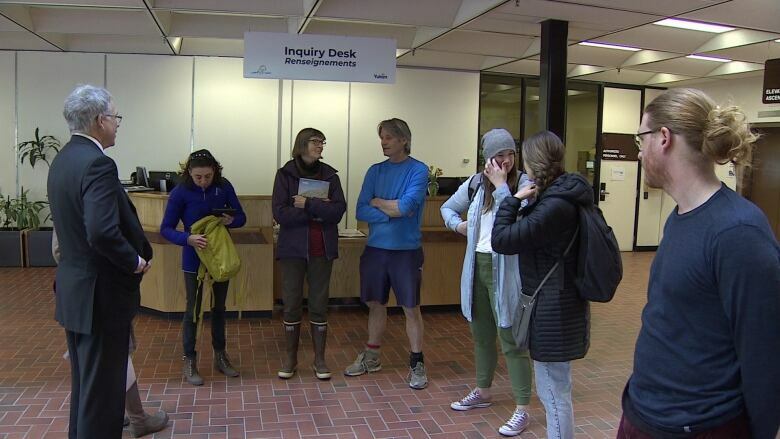 "We're very excited that they are consulting on how to implement a fee, so this is another show of support to getting a fee in place," says Ira Webb, Zero Waste Yukon's program co-ordinator. "It's definitely an issue people feel passionate about." Yukon stores can charge a voluntary fee of five cents per bag, but the organization says that's not enough. It points to the N.W.T., where retail bag use has dropped by 70 per cent since a 25-cent fee was imposed in 2011. Last fall, the Yukon Legislature voted unanimously to work towards eliminating all single-use plastic products, including bags and straws. The government says it spends about $6 million a year on waste disposal, and about half of that goes toward getting rid of plastics. The government's consultation process runs until April 26.